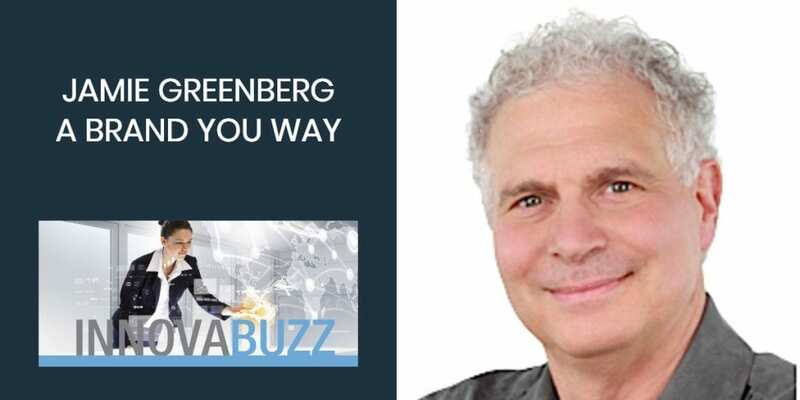 In this episode, my guest is Jamie Greenberg, Chief Originologist of A Brand You Way, and an internationally recognised personal branding expert who specialises in business development through innovative branding. He is also the author of an ebook “The 4 Truths to Creating A Brand You Way”. 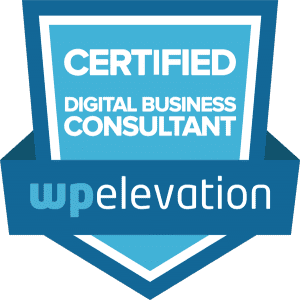 Just like a writer needs an editor, and a musician needs a producer, Jamie has dedicated his career to empowering entrepreneurs, C-level executives and careerists helping them create signature products and systems that define their personal brand. Gigi Bisong on episode 112 suggested we interview Jamie. You can’t really be a successful entrepreneur when you’re working with all the stinky paradigms that you are not even conscious of. You have to be able to shift that vibration under a habit of thought that is preventing you or always accompanying you in your endeavor because that is the main thing that creams your creativity. Creativity is a random process. It is a collection of beginnings, middles and ends that you have to gather without thinking about the “how” first. You have to give yourself permission to have an intentional creative process. Every great entrepreneur needs a vision. You need a vision to plant into the universe, a vision to go to, and a vision to begin to tell people what is it that you want to do. Once you have your vision, your purpose is born because you need your purpose to support your vision. Once you have your purpose, your passion fuels your purpose. It’s the engine that runs your purpose. The four pillars of a personal brand are simply the values on how you want to live your life and do your business. The four pillars of a personal brand are your vision, your purpose, your passion and your values. Run towards the thing that scares you yet thrills you the most because you really, really, want to do it. Embrace the first time of doing stuff where there is no growth and understand that that is just part of the process. There are going to be times where the attempt is going to be the stepping stone for your success. You have to embrace the steps that you need to be able to move to the next step. Vibration is sensitive but it’s not fragile. Wherever we are at in our own beingness, we are vibrating on a certain frequency. And when we are conscious about frequency and not feeling comfortable, we do have an ability to respond to that and peg it. Pick the better thought and move into a different vibration, a better place. Spend time on your product. Your marketing and your sales will be so much easier when you spend time to do a little focus group and try things out. Be a publisher of your own originality. Give yourself permission to do an intentional creative process and see how brilliant you are. You will be amazed of how much and how fast it starts coming down when you start asking for it and just allowing to it to come. Always know the inspiration behind what you do because that is so important to selling anything that you create. Become a thought leader in what you do. Document and write it down as you go along. People want to know your process on how you became what you are going to be. Here are Jamie’s answers to the questions of our Innovation round. Listen to the interview to get the full scoop. #1 thing to be more innovative – Look at the habits of thought that are preventing you from growing or starting your business and take the conscious time to get in touch with your intuition. Start to feel where you are original and document them. Write down all the beginnings, middles and ends, forget about the logic. Don’t worry about the “how”, just collect all those things. ​Best thing for new ideas – The acknowledgement of the brilliance that we all are and taking time in the recognition to document it and then begin to let it organically grow into a product or system. Favourite tool for innovation – A Brand You Way. It’s the signature solution system, that part of the software called Manifestation Constellation. Never stop getting creative. Never lose sight of why you’re doing what you’re doing. Understand the essence of your vision. The four pillars it should be all in your personal brand. Keep project / client on track – Custom based project – I put them on the idea management track, the gorgeous chaos track. Coaching/Consulting – I walk people through the system and there are exercises that I leave them with, reflection questions. Differentiate – The self discovery of who we are and why we are here. We have to find out who we are and how we are different from the rest of the humans on this planet. Look down and see the magnificence of who you really are and go with it. Be in the moment. Be present and just receive what it is you are asking for and have some faith it will evolve. Just be who you are. Be fiercely attached to your vision. When inspiration comes, don’t doubt the secret place where it came from because you and you alone are the only one who got that idea. It would really be a disservice to your existence on this planet if you do not follow that inspiration. We’re here to follow the inspiration that we get. Go with it full force. Listen to it and just experience the experience. Explore the full expression of your originality, every bit of it, because it’s your golden nugget. Nobody has it except you so don’t doubt for a second that it’s not supposed to be acted on. You can reach out and thank Jamie through his website, on Twitter – @ABrandYOUWay. Jamie suggested I interview actor, Jim Carrey. That’s a little ambitious, we’ll see what we can do. So Jim, keep an eye on your inbox, for an invitation from us to the InnovaBuzz podcast, courtesy of Jamie Greenberg. Jamie is offering a complimentary 30-minute KickStarter Session to our listeners. He wanted to be a stand-up comic when he was young and was fascinated with “The Ed Sullivan Show”. He was the Chief Imaginologist of a family musical called “Imagine If… The Musical Cure for TV-itis”. He researched, developed and marketed M&M Minis/Star Wars, Return of the Sith movie candy dispensers, resulting in worldwide mass retail replacement.